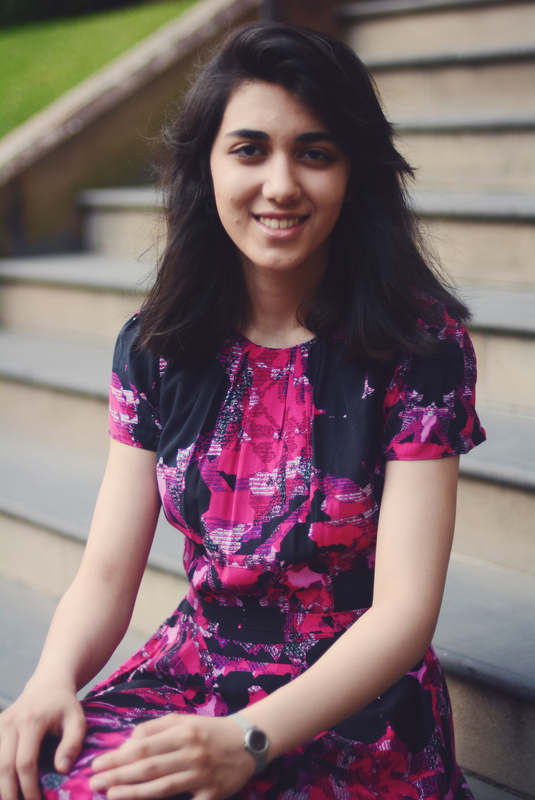 Maryam Eghtedari is a third year Bachelor of Science (Advanced) and Doctor of Medicine student at the University of Sydney and resides at The Women’s College. She majors in Anatomy and Neuroscience and conducts research as part of the Talented Student Program. Maryam maintains an excellent academic record and has been awarded Academic Merit Prizes for her results at both the University of Sydney and The Women’s College. She also serves as President of the Sydney University Combined Medicine Association and established SciMed, the first dedicated club to science and medicine networking at The Women’s College in 2014. Women in Science AUSTRALIA hopes you have celebrated International Women’s Day your way, including cheering on women in science! Many investigators have been avidly writing grants and fellowships – and many more still are! We wish you all the best for your applications. This week, Women in Science AUSTRALIA invited one of our earliest career women in science – one of our undergraduate science students – to tell us about an exciting new initiative that is bringing together women in science, medicine and the humanities. Given that one in five residents at The Women’s College study tertiary science, forming a club in which these like-minded individuals could come together in a casual yet intellectual space seemed necessary. By doing this we could highlight the significance and breadth of opportunities in the discipline, communicating an important message to our young female scientists: to aspire for top positions in their future careers in research, leadership and industry. Established in August 2014, SciMed is a platform to discuss scientific and medical issues, promote relevant events and scholarships, and provide a chance for our members to network within and outside the College environment. Our goal is to foster a community of scientists and future doctors and help each other grow professionally in these fields. From its initial foundation as an online forum, SciMed has flourished into an active academic body within the College. It has been very constructive to have the involvement of students not only from STEM and health-related areas but also from other disciplines, notably the Humanities. Owing to the disciplinary diversity of our members, a range of scientific issues has been raised within the club. This has also created a great opportunity for our science students to share their work with a non-scientific audience, which provides them with practice for communicating their discoveries within the community in the future. At SciMed, we organise workshops, such as science degree planning and scientific writing, which offer great opportunities to practice the skills necessary for success in research and other scientific fields. My experiences as a junior medical researcher, have taught me the significance of teamwork and the important influence of mentors to achieve success in the discipline. SciMed aims to bring this aspect of teamwork, invaluable mentoring, and the motivational boost to our members to aid in their scientific work. We coordinate and run the workshops collectively as a group, which enables us to practice teamwork in a community of scientists. Additionally, through these workshops, we use our experience to help our younger students with their tertiary studies. This relationship is symbiotic as the younger students benefit from the support and knowledge of the older ones, and older students benefit from developing effective teaching and communication skills. Consequently, we facilitate a strong mentoring culture within the club to nurture capable graduates equipped to reach the top levels in scientific research and leadership. Given the challenging and subsequently rewarding nature of scientific work, it is essential for young women in science to network and seek advice and opportunities from those more advanced in their careers. SciMed has created an engaging environment wherein our members can better prepare for future challenges by enjoying the networking and educational opportunities that the club provides. For the next step at SciMed, we would like to identify opportunities for scholarships, potential sponsorships, and relevant networking events from organisations, research institutes, and individuals who are passionate about supporting young students in STEM and health-related disciplines. Ultimately, SciMed aims to serve the next generation of our country’s scientists and doctors by promoting these opportunities through the club for our members at College, and also through public platforms including via twitter @scimedw and our website scimedw.com. If you would like to be involved with SciMed please visit our website or email us at scimedw@gmail.com. The support that we have received in bringing SciMed into being at College has been very encouraging. We hope to welcome more students in STEM and health-related fields to SciMed and to The Women’s College in the future. We also hope that SciMed inspires other scientists to establish their own communities of scientific participation and leadership, and join us in acknowledging the vital role of science and medicine in society. Congratulations, Maryam! What an inspiring young scientist you are. Great initiative and great article!